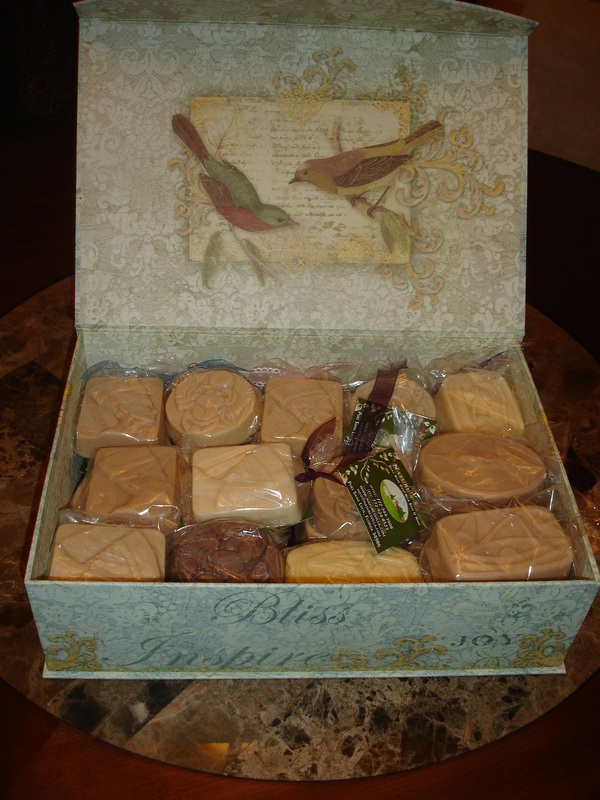 Custom gift sets are available in a variety of box sizes and soap quantities. For more information and prices, go to our contact page. We will gladly help you put together a beautiful package. Gift sets can be sent directly to recipient. Shipping rates apply to gift sets.